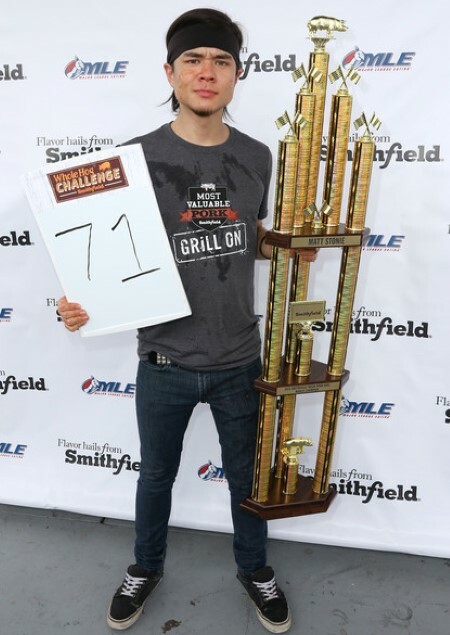 Matt Stonie's Personal life; Is the competitive eater Dating any secret Girlfriend? Not every well-known personality keeps their love life transparent to the media. It's even less apparent of those celebs who are rising stars in the world of fame. As they climb up the ladder, more and more details of their personal life are revealed. 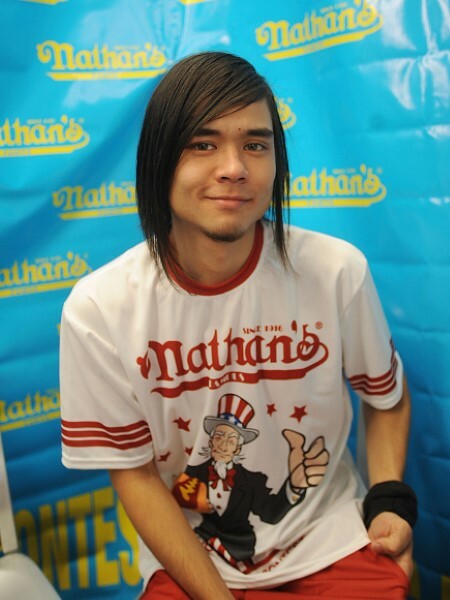 Matt Stonie has made a career as a competitive eater and as a youtube star. He is smashing it as far as his professional life is concerned. But can the same be said about his personal life? What is he doing currently? Is he in a relationship? How many girlfriends has he had? Let's find out. What is Matt Stonie Up To? Is He Dating Someone? Matt Stonie is reportedly single. He seems a pretty private person who does not reveal much about his dating life. Moreover, since he is a rising star who has not gained enormous stardom yet, it is understandable that the details of his personal life are not as obvious to the public. Currently 26-year-old, Matt appears fully engrossed in his career at the moment. He could be secretly dating a lucky lady but it's never been reported in any of the media outlets. Matt is often asked about his girlfriend by his fans on the comments section of his videos. During the Q/A session on one of his Youtube videos, he responded by claiming to be 'single and lonely'. It remains to be seen when this competitive eater spills the beans regarding his dating endeavors. "It really just comes down to diet and watching what you're eating after a contest." "But I'm definitely in the gym five times a week doing cardio or weights. I've made this my full-time job, and I spend a lot of time taking care of myself. It's hard, it's not like we have superhuman metabolisms." Stonie's talents do not end at eating a crazy amount of food. He is pretty passionate about music. In fact, he is fond of playing guitar and has done so for most of his life. Answering to fans on Reddit, Matt claimed he truly enjoys performing for people. The professional eater added, if his competitive eating days are behind him, he would love to pursue as a career as a professional musician. Matt Stonie made his debut in Major League Eating (MLE) at the Stockton Deep Fried Asparagus Championship held in Stockton, California back in 2011. He is currently the youngest member of the MLE organization. Matt's first victory arrived in 2010 in a lobster roll eating contest. The competition was held in Hampton Beach, New Hampshire. He defeated Joey Chestnut's run of eight straight titles at the Nathan's Hot Dog Eating Contest by winning the competition in 2015, eating 62 hot dogs to Chestnut's 60. Stonie came in second to Chestnut, eating 53 hot dogs to Chestnut's 70 on 4th July 2016. Likewise, he came in third on 4th July 2017, eating 48 hot dogs, behind Carmen Cincotti's 60 and Chestnut's 72. Meanwhile, Matt has gained much fame from his YouTube Channel, where he uploads videos about many eating challenges. He uploaded his first YouTube video on 27th August 2012 where he drinks a gallon of Gatorade in 37 seconds. Stonie's most popular videos have been noticed by several renowned celebrities. These include Bam Margera, Waka Flocka Flame, and Cheech & Chong, all of whom have featured the videos on their websites. Matt uploaded a video on 24th September 2015 in which he consumes 25 McDonald's Big Mac sandwiches in 22 minutes. This is an unofficial world record among the YouTube community. As of September 2018, Stonie has over 6 million subscribers on his YouTube channel. His most-watched YouTube video has over 25 million views. Born on 24th May 1992 in San Jose, California. His nickname is "Megatoad" which came from the character Toad in video game Super Mario Bros.
His parents are Cathie Stonie and Dorian Stonie. He has a younger brother named Morgan Stonie. He belongs to Japanese, Czechoslovakian, and Lithuanian ancestry. He graduated from Evergreen Valley High School in San Jose, California. He is renowned for participating in Major League Eating events, where he earned the title of second-best MLE eater in the world. As of 2017, he holds 22 world records. He participated in his first Major League Eating competition titled "Stockton Deep Fried Asparagus Championship" in 2011. He maintained a low-end healthy weight of 120 pounds in his 20s despite his enormous capacity for eating large amounts of food quickly. He studied nutrition at California's Mission College. His net worth is estimated to be $500,000.